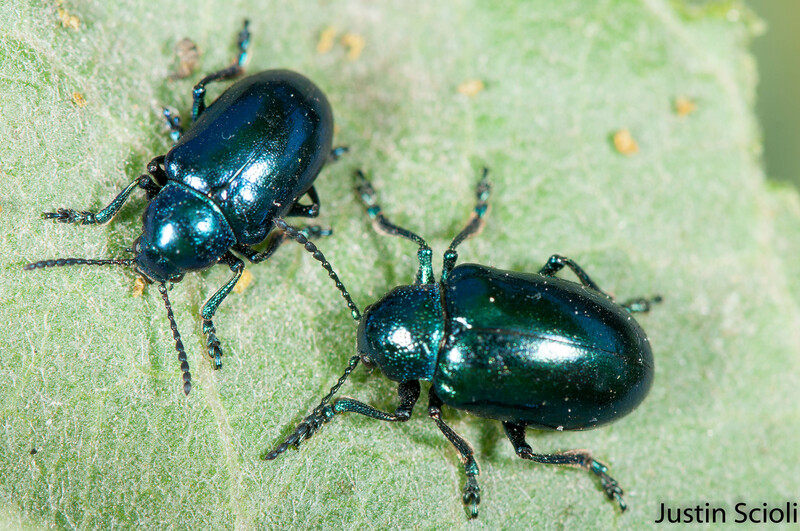 When I say the blue hues I saw at Yosemite falls were gorgeous, you might not think of Chrysochus cobaltinus, the cobalt milkweed beetle, but that is just what I am talking about. 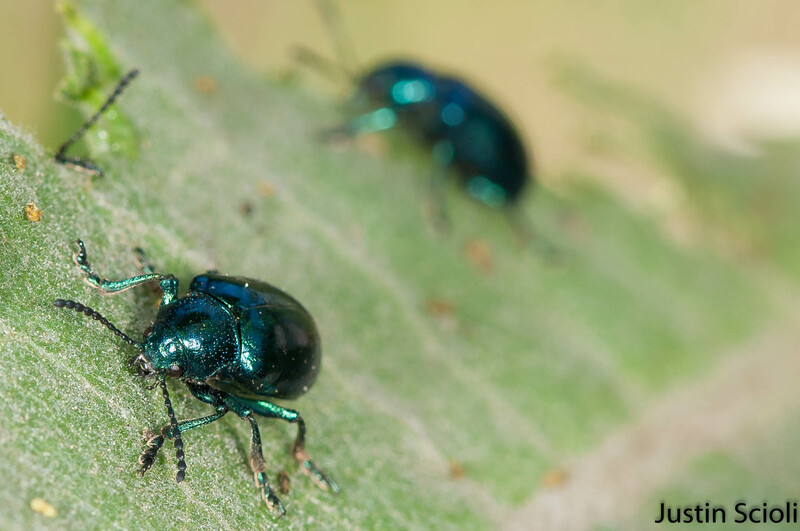 In my only trip to Yosemite National Park to date, in June 2014, I was amazed to see these gorgeous beetles munching away in huge numbers on milkweed plants just a few feet away from Yosemite falls. Other tourists were confused to see someone with a fancy (at least fancy-looking) camera hunched over the walkway pointing the wrong way and at the ground. Looking back at my photos from that trip, nearly half of them were of this species. I have a personal mantra that if I finish the day with one good photo of one new and desirable arthropod then the day was a success, and I certainly feel that way about that day in Yosemite. C. cobaltinus is not by any means restricted to Yosemite N.P. or California; it occurs in most of the Western U.S. and Canada, but I had never seen it prior to that day and have not seen it since (which is not to say it is rare, but rather I haven’t happened across the right places). 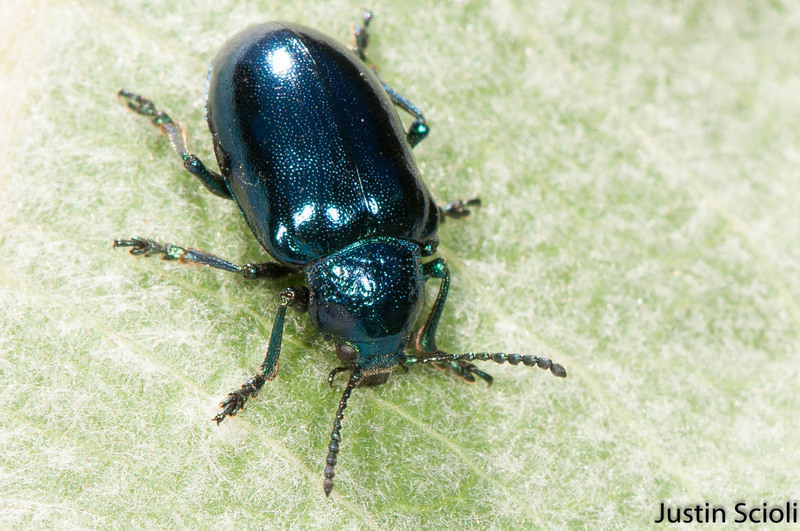 Another thing that I love about this beetle is it’s brilliant blue hue. I really recommend a post by the famous Piotr Naskrecki on the rareness of blue in animals, it is a great read.